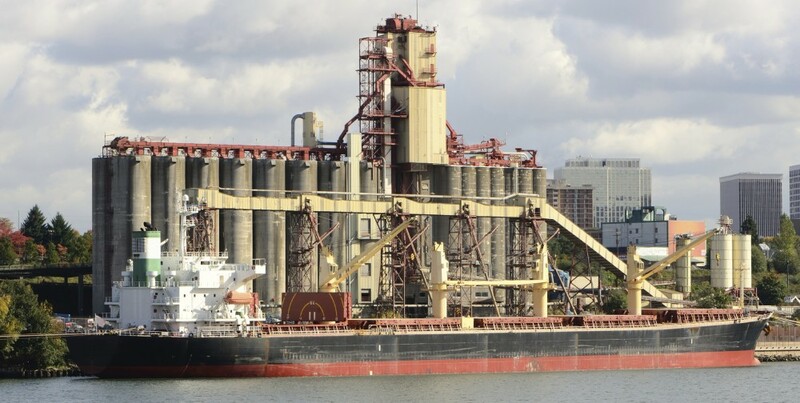 With an increase in industry regulation, international import restrictions, and the need to maximize facility efficiency, companies in the grain load-out sector are focused more than ever on the reliability and flexibility of their process control systems. NovaTech’s grain export solutions power many of the largest and most complex load-out facilities in the world, helping customers routinely deliver grain across the globe. 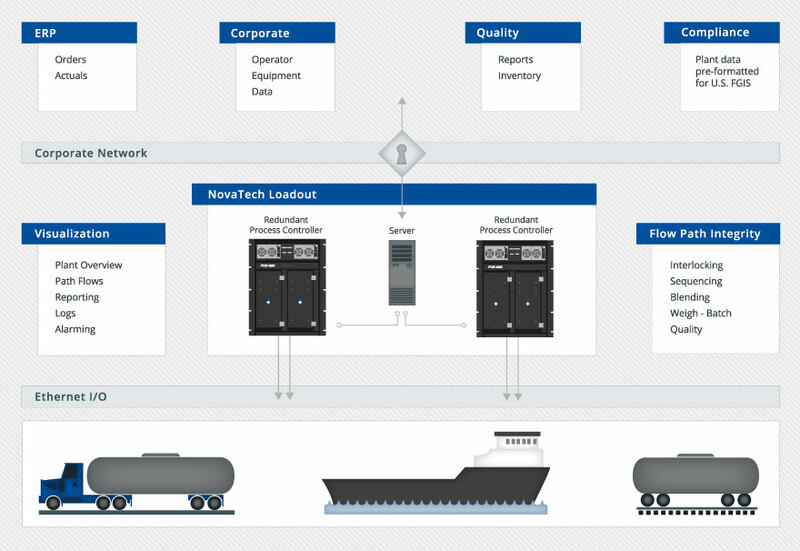 By helping customers avoid data integrity issues, unnecessary downtime and costs due to rework, unexpected system outages, and slow recovery from equipment failure, the NovaTech grain export load-out solution–based on the NovaTech D/3® Distributed Control System (DCS)–provides a reliable, scalable, and fully redundant automation platform required for an operation of this magnitude. The ability to deliver grain from source to destination in a safe and efficient manner is only half of the story of the NovaTech Grain Export Load-out System. Proper tracking, logging and reporting of material transfers is as critical as the grain transfer itself. The NovaTech system features redundant data collectors and reporting services to ensure data integrity even in the event of a server failure. All operator activity, equipment allocations, equipment failures, re-works, blends and transfers are tracked. Order and scheduling data is received from the corporate ERP system and “actual” data is automatically transferred to corporate QA and regulatory inspection systems, such as FGIS. Since the system is fully integrated, record keeping, data integrity, reporting and tracking are optimized. NovaTech develops grain export load-out systems utilizing modern visualization, programming, sequencing, alarming, and interlocking techniques. Operators access hierarchical visualizations featuring plant overviews, path flow, and specific equipment graphics. Additionally operators can easily access and manage reports, logs, and alarms from the intuitive operator interface. Upgrading customers can choose to mitigate risk and reduce expense by developing visualization screens and custom graphics that mimic their existing systems, resulting in faster start-ups and virtually no operator training required at cut-over. The NovaTech system employs sophisticated interlocking and sequencing techniques to ensure the proper flow of grain from source to destination. Whether unloading barges or filling ships, the NovaTech system is constantly monitoring the state of all equipment to ensure flow path integrity. Furthermore, the NovaTech system facilitates sophisticated blending, weigh-back, and quality monitoring systems. Most regulatory compliance systems are designed to constantly monitor the grain flow, sampling, and weighing systems. Additionally the system must provide the necessary safeguards and hard copy documentation required to operate the official weighing system without 100% physical supervision of the bulk weigh scales and grain flow system. NovaTech’s U.S. installations fully integrate the U.S. FGIS with customer systems. This approach significantly reduces errors, reworks and delays due to discrepancies between the regulatory and customer system. NovaTech has the capability to integrate with any other regulatory compliance system. NovaTech recently held a ribbon-cutting ceremony for its newly opened office and educational services facility in Aiken, South Carolina. D/3® Version 16 (D3v16) opens new horizons of reliability and ease of use for the DCS with the highest lifetime value in the industry. D3v16 is the first release to harness the next-generation Process Control Module 5 (PCM5) Series’ native Cyber Security and virtualization capabilities. NovaTech announced it installed its process automation equipment at the WeylChem US manufacturing facility in Elgin, South Carolina. NovaTech’s D/3® Distributed Control System (DCS) is part of a new $10 million site expansion which is needed to support a long-term, customer tolling project. NovaTech, LLC, recently donated its D/3 Process Control System to the University of South Carolina Aiken. The system will provide students of the Industrial Process Engineering (IPE) Program the opportunity to experience a more hands-on approach to designing, building, and managing control systems. FlexBatch integrates recipe management and the automation layer so operators can quickly and easily develop, scale up, modify and schedule batch manufacturing recipes for products ranging from beer to chocolate to specialty chemicals and more. FlexBatch delivers shorter time to first batch, reduced changeover times, increased throughput and production yield. New and existing products are brought to market faster and at lower cost, providing a strategic and financial advantage. Production staff can execute library procedures to overcome process upsets. All of which means a more nimble, responsive, and profitable process. Reviewing the benefits, considerations, and steps required to migrate legacy I/O subsystems to NovaTech 8000. This webinar focused on NovaTech 16000 and Modicon Quantum, and touch on Siemens 505, Rockwell 1771, and Modicon 200. The latest release of the D/3 Distributed Control System includes new configuration tools that make the system easier for new and existing users. The webinar covers building tags with MDL Builder, writing automation code with D3Edit, web-accessible History and Reports, features to facilitate migration to High-Performance HMI, and OSIsoft PI integration. This video introduces the D/3, the Distributed Control System trusted by many Fortune 100 companies to keep their global operations’ continuous and batch processes running smoothly and efficiently. Part one reviews the system architecture and configuration tools.